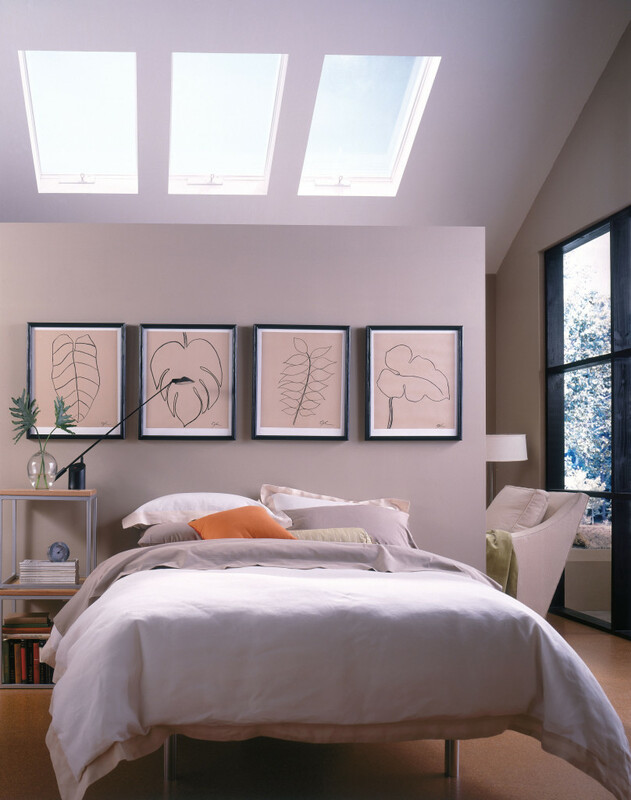 Nearly every homeowner dreams of having a skylight installed in their house. A skylight’s ability to provide warm, natural lighting while cutting down on electricity costs is appealing to almost everyone. However, there are a number of other ways that skylights can improve your life. We’ve outlined four of them below. Ask any elderly person and they’ll tell you: as you get older, your eyes need more and more light to see everything properly. This is because, as we age, our pupils get smaller over time and the lenses in our eyeballs thicken. As early as age 25, the strength of your vision can start to weaken, meaning that you need more light for them to function optimally. It’s crucial, then, to make sure that your kitchen, home office, and other rooms are all getting the maximum amount of light possible. Skylights can provide this for you. While windows bring in halfway sufficient light on bright, sunny days, skylights will provide adequate lighting no matter what the sky looks like. By dispersing sunlight evenly across the room, your skylight will continuously give your eyes the light they need to thrive. With increased development in both cities and suburbs, many of us are finding that we live far too close to our neighbors. Just take a second and look at how close your house is to your neighbors. Chances are, there are times that they can see right into your windows. The nice thing about skylights is that they are on the ceiling, which means that you don’t have to worry about nosy neighbors getting a glimpse in. If you add some Wasco blinds to your skylight, you’ll never have to worry about anyone seeing in, even when there’s a contractor up on the roof. Wasco offers light-filtering SkyShades that enable you to filter out unwanted light without making the room pitch black. Whether you’re trying to take a nap or want to watch a movie in the dark, you’ll have the opportunity to adjust the amount of light that shines through. Even better, Wasco’s room-darkening SkyShades are able to block out light without changing the temperature. That means that you’ll be able to filter out 90% of the sunlight that shines through without having to adjust the temperature of your home. It’s amazing to have the option to enjoy the warm heat of the sun without having to take the sunshine, too. Too many homeowners are skeptical about skylights because they think it will attract leaks. Doesn’t a window on the roof create too many holes for rain to leak through? Not with Wasco Skylights! Wasco’s flashing kits are extra secure, protecting the interior of your home from any weather-related damage. Additionally, all of their motorized venting systems are equipped with a rain sensor that’s designed to keep the rain out. They’ll close at the first sign of rain, ensuring that your room stays nice and dry. Or if you’re ready to start shopping, check out our residential skylights here!